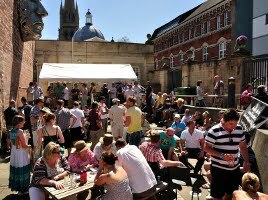 Lincoln Beer Festival is a major event in the city’s social calendar, enjoyed by thousands of drinkers. 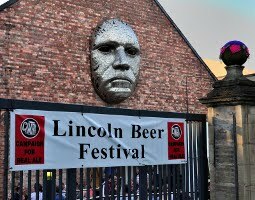 In the comfortable surroundings of Lincoln Drill Hall, you will find a choice of over 100 real ales from across the UK and, this year, we have a number of ales brewed to commemorate the first moon landing that took place fifty years ago. There is also a selection of traditional, farm-produced cider and perry, plus bottled and canned beers from around the world. Mingle in the main hall with regulars and visitors to the city, or relax in the Café Bar and enjoy tasty food and live music. Don’t miss out, come along and enjoy the friendly and sociable atmosphere, where a great time is had by all. The festival is organised and staffed by local CAMRA volunteers. 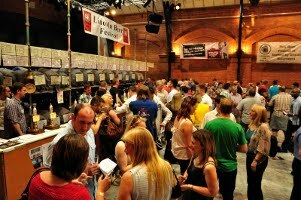 Over the years, Lincoln Beer Festival has built a reputation for the quality of the live music programme. In the intimate atmosphere of the Drill Hall Café Bar, local performers are showcased and bigger names provide a treat for music fans. More details soon. Food is available from the Drill Hall Café Bar and the hog roast. For sponsorship details please contact us.